Most folks can't just record someone else's song and then start selling their version of it. But how do independent artists clear the rights necessary to record a cover song and then release it for sale? This is a real problem, as thousands of independent artists across the country seek to record songs written by others -- and make some money in the process. Songs are protected by copyright, however, so permission must be secured and financial terms settled before a cover song can be sold to the public. It's a problem Samantha Murphy, a.k.a. "The Highway Girl," understands well. 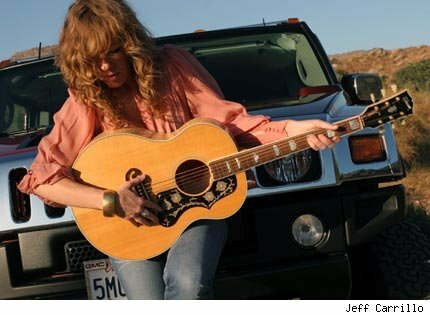 Murphy, whose debut album Somewhere Between Starving & Stardom was one of Village Voice music critic Michael Ross's Top 10 picks in 2006, wanted to record a version of one of her favorite Johnny Cash songs, Ring of Fire. Enter Limelight, a service of RightsFlow, which provides licensing and payment services for artists, record companies and online music services like Rhapsody and The Orchard. "I wanted to record a version of this Johnny Cash song for years," says Murphy. "Limelight provided the solution for my licensing needs and allowed me to finally record this amazing song." 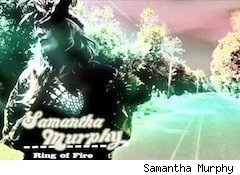 Now, Ring of Fire will be the first single from Murphy's forthcoming album, Some Assembly Required, and it will be available on Apple's (AAPL) iTunes and Amazon.com (AMZN) September 15. The Some Assembly Required Tour starts in the Midwest in 2011. Limelight's goal is to make it much easier for independent artists to record and sell cover songs. RightsFlow says it has 23 million songs in its database, which it uses to help over 10,000 clients obtain licenses from songwriters and producers around the world. New York City-based RightsFlow received a $1.5 million investment from Originate Ventures in August 2009, and makes money from charging for a $15 flat fee per license. The company declined to comment on the number of artists it has worked with. "We're trying to make it simple for every artist to be able cover any song they want," says Michael Kauffman, senior vice president of sales and marketing at RightsFlow. "And in turn put the royalties in the pockets of the songwriters. We aim to simplify what can be a complicated process, and help musicians pursue their art, be compliant and pay royalties due to songwriters and publishers." Kauffman, like many in the indie music community, is a fan of Murphy's music. "Samantha is the rare combination of accomplished musician, technology advocate and champion for artists and songwriters," Kauffman said. At a time when the music business continues to unravel amid the grinding transformation triggered by digital technology, many smaller, independent artists have gotten squeezed out. RightsFlow's Limelight service could lend a hand by helping smaller artists cheaply and efficiently clear rights to songs made popular by others. After all, if hearing a song you already know lowers the barriers to listening, then that might make it more tempting to check out new artists and perhaps buy their music.